MVE + Partners, a leading architecture and planning firm, today celebrates the groundbreaking of 732 Spring Street, the second of two high-rise mixed-use developments the firm has designed in the area for a joint venture owned by North America Sekisui House, LLC (NASH), and developer Holland Partner Group (HPG). 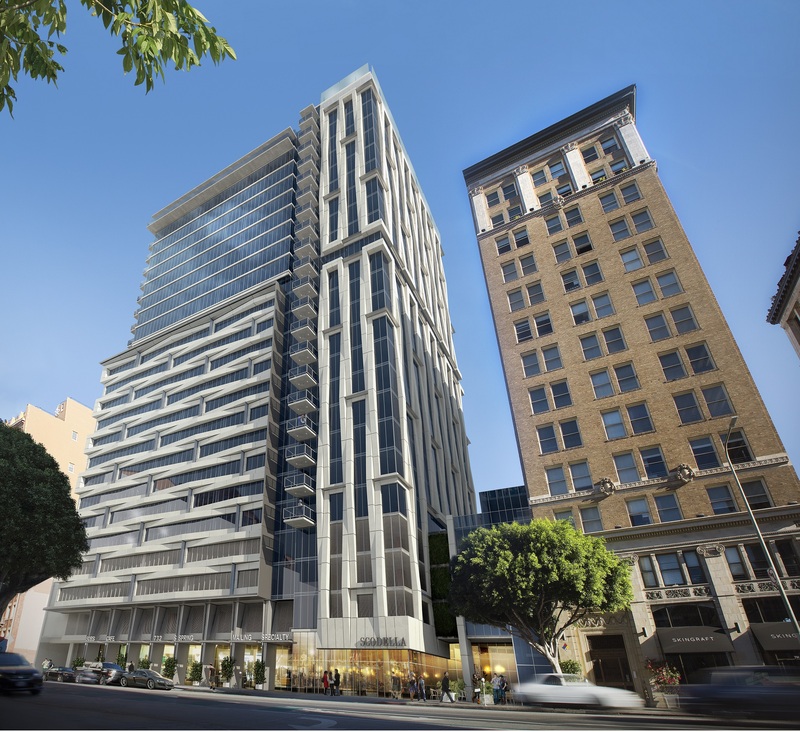 MVE’s vision for the two towers was inspired by the rich past of Historic Downtown Los Angeles and is driving the transformation of the Spring Street community into a modern urban living experience. 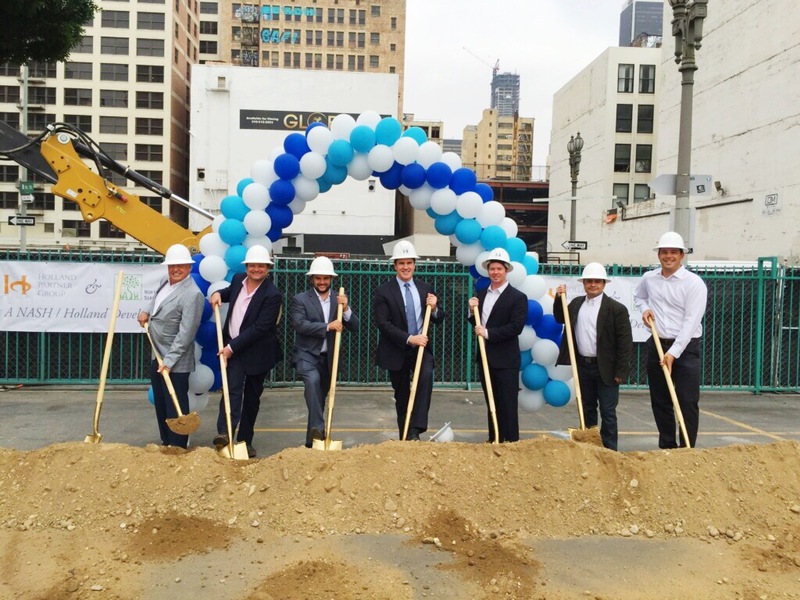 MVE and HPG joined civic leaders today including Los Angeles City Councilmember Jose Huizar at the ceremonial groundbreaking of the $164 million dollar development at 732 Spring Street. 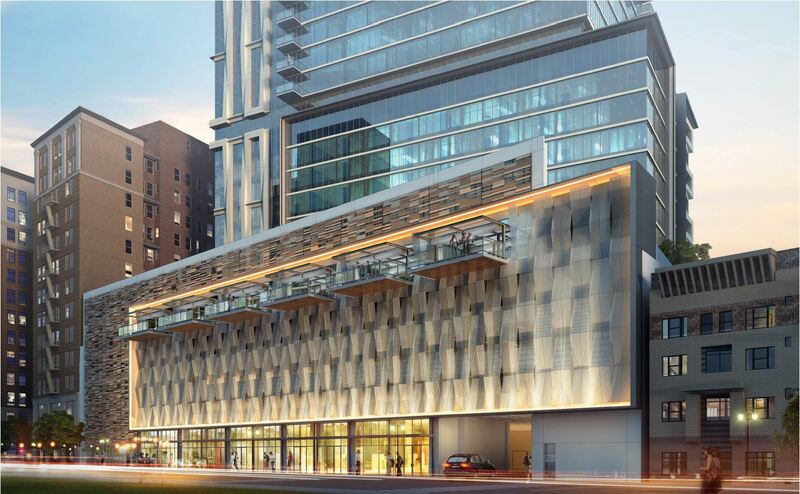 The 24-story tower will be a 300-unit apartment community featuring 7,500 square feet of ground‑floor retail and an abundance of luxury amenities. This tower follows the start of construction on a sister project across the street at 755 Spring Street that broke ground in late 2015. The building sites are located in the Historic Core of Downtown Los Angeles along the edge of the Fashion District, two dynamic environments that influenced the identity of the projects. MVE designed the two Spring Street properties to align with the City’s design guidelines and to honor the historic context through the use of metal, stone, and other elements. The architectural vernacular of 732 Spring Street features a contemporary weave pattern that embodies the energy and craft of the surrounding Fashion District. Furthermore, the neighborhood inspiration for 755 Spring Street yielded architectural elements that align with classic styles of Los Angeles circa 1920 to preserve its historic roots. Above the 150‑foot traditional street wall, modern glass and metal materials were used to represent the new world evolving from the old. Residents of 732 and 755 Spring Street will be able to enjoy the amenities at both properties, including a resort-style fitness center and clubhouse, and a rooftop deck and cantilevered pool cabanas suspended five stories above street level. Upon completion, the towers will stand more than 100 feet above surrounding buildings offering renters sweeping views of the greater Los Angeles landscape through floor-to-ceiling glass windows. A pocket park on the ground floor adjacent to 732 Spring Street’s retail space will offer the public with an outdoor haven and dining experience among the urban environment. Both towers are expected to be completed mid-2018. The two towers on Spring Street are among several of MVE’s active projects in Los Angeles including: Avalon West Hollywood, a 371-unit mixed-use development along Santa Monica Boulevard by AvalonBay Communities; Emerald, a unique 154-unit mixed‑use dwelling experience by Jade Enterprises in South Park; and The Woods at Playa Vista, a vibrant affordable senior housing community among the Playa Vista master plan for Thomas Safran & Associates. MVE also recently completed 8500 Burton Way, Caruso Affiliated’s mixed-use luxury apartment complex in Beverly Hills.